Chest packs have become popular over years for many reasons. The first one I saw, in the 1970’s was rigid, made from aluminum. It was not really a pack, but a multi layered fly box, suspended from the angler’s shoulders. Today’s chest packs are small, light and comfortable to wear, making them perfect for a minimalist fly fisherman. They are cooler than a vest, because they don’t cover your back or stomach with material. Chest packs are suspended high on your torso, allowing you may to wade into deeper rivers or lakes, without getting your fly boxes and other gear wet. Before chest packs were invented, we could not do that wearing a fly fishing vest. Chest packs make it easy to access your fly fishing gear. It’s right in front of you, up close. You can see everything inside and out. Fishpond makes more different chest packs than any company we know of. They don’t block the view of your feet, something that can be problematic for wading fly fishermen. Fishpond Chest Packs are made using high quality materials, zippers and fasteners. Good design principles and the highest quality are what Fishpond is known for. 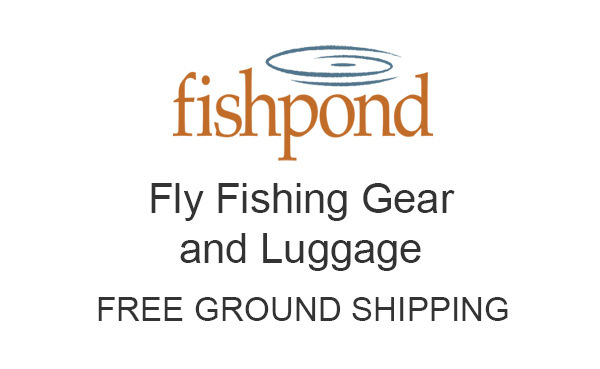 Every chest pack shown in this category is current and part of Fishpond’s 2018 collection.